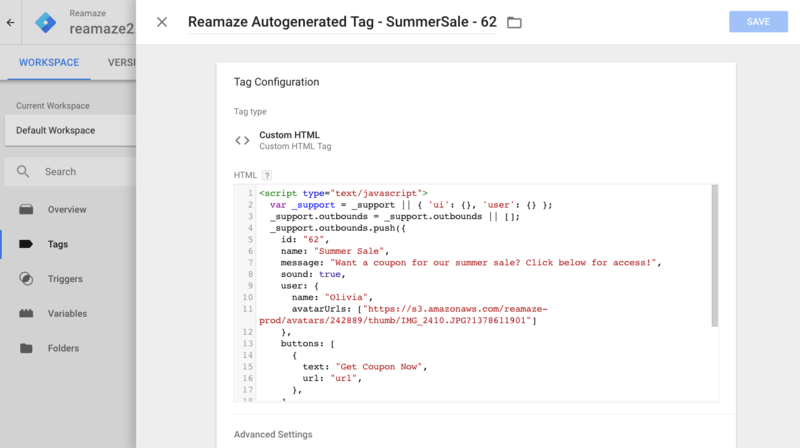 Reamaze officially supports Google Tag Manager (GTM) integration for automatically publishing Cues directly to your container. 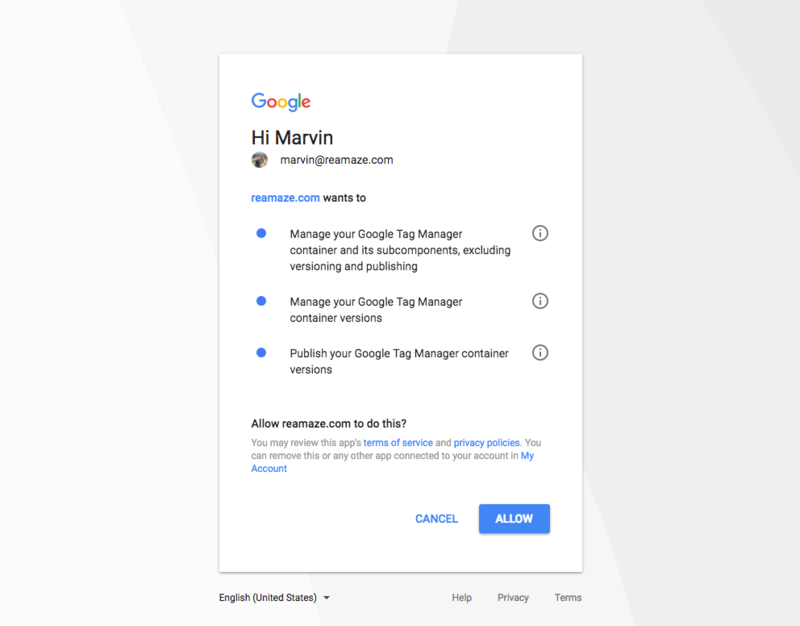 To get started, you'll need to have a GTM account with a container set up for the website you want to manage. 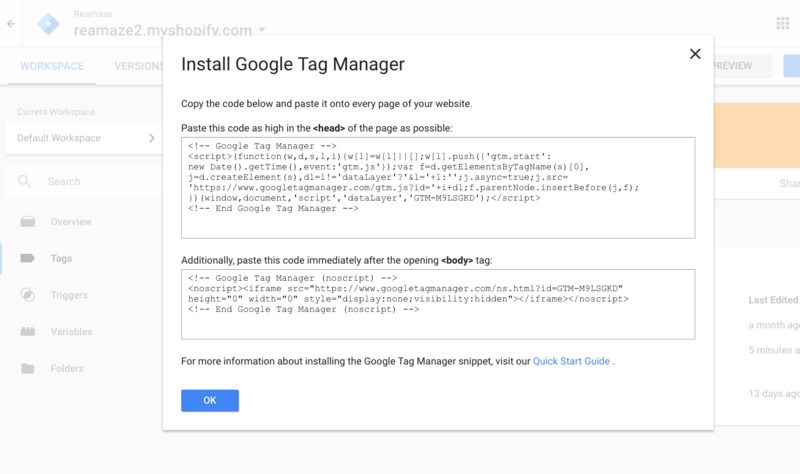 Next, there are two scripts you need to install for GTM on your website or application. 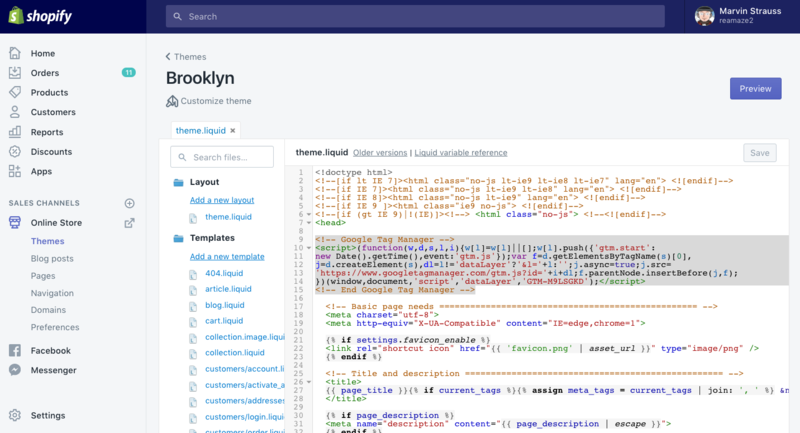 Make sure you or your developer has access to editing your website's HTML or your eCommerce platform's theme templates. If you're using Shopify, it should look something like this after the installation process. Start by logging in to your GTM account and your Reamaze account. In your Reamaze account, go to "Settings" then to "Apps" and finally to "Google Tag Manager". Click on the on-screen instructions to authenticate. Make sure you click on "Allow" when prompted. 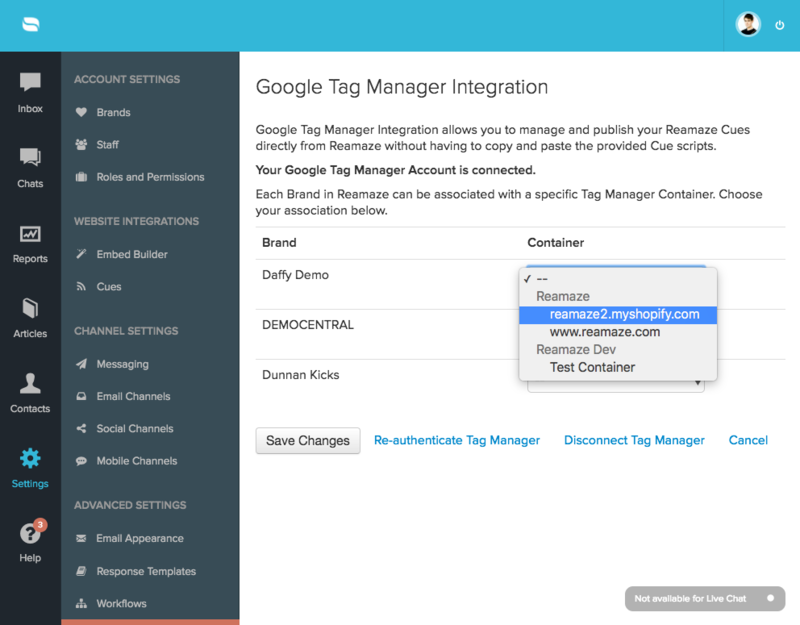 After you've authenticated Reamaze for GTM, you'll be taken back to the settings menu to map a specific brand to the desired GTM container. A container is essentially the website you're managing via GTM. You can read our in-depth tutorial for Cues here but let's go through it one more time here. 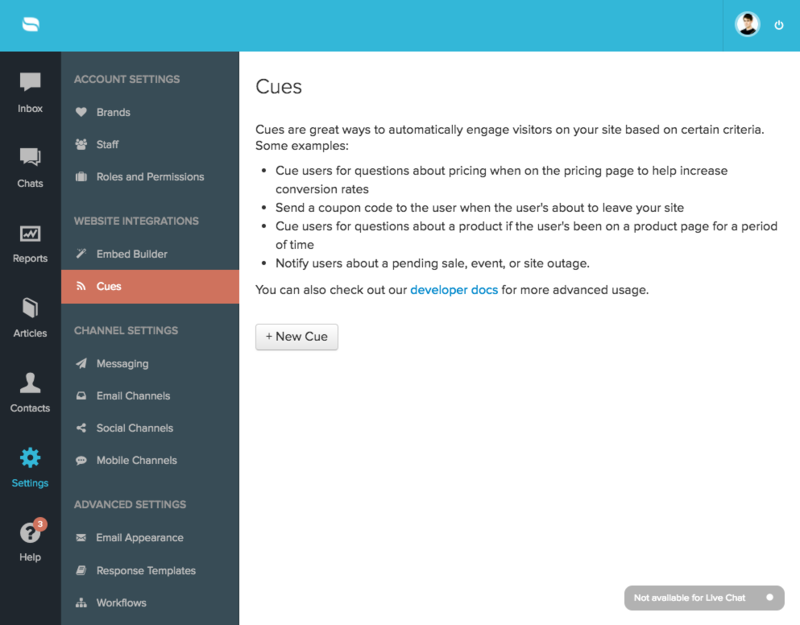 Cues are a great way to automatically engage customers who're browsing your website or app. 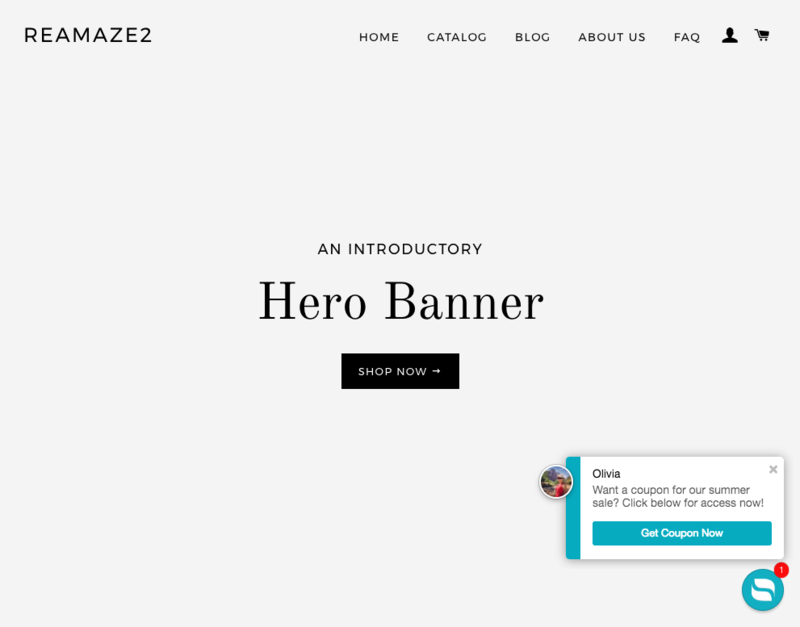 You can invite them to chat, send them coupons or content, or even prevent them from abandoning. To build a Cue via GTM, go to "Settings" then "Cues". 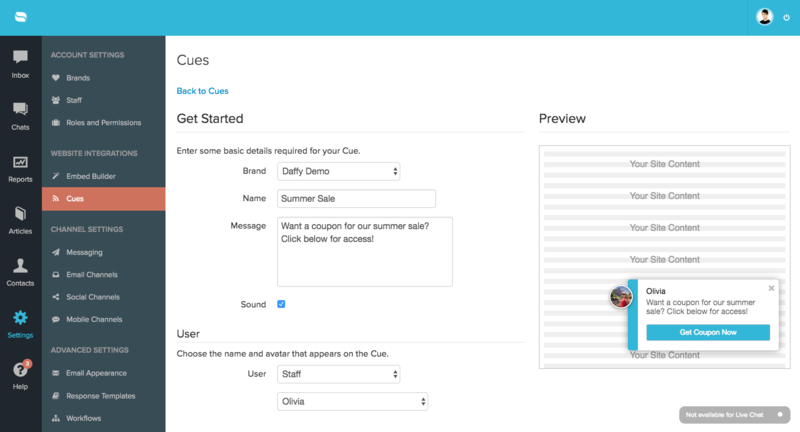 Go through the Cue builder to configure the Cue you'd like to show customers. When you have GTM enabled, Cues can be automatically published rather than manually installed in GTM. For our manual process, see this article. 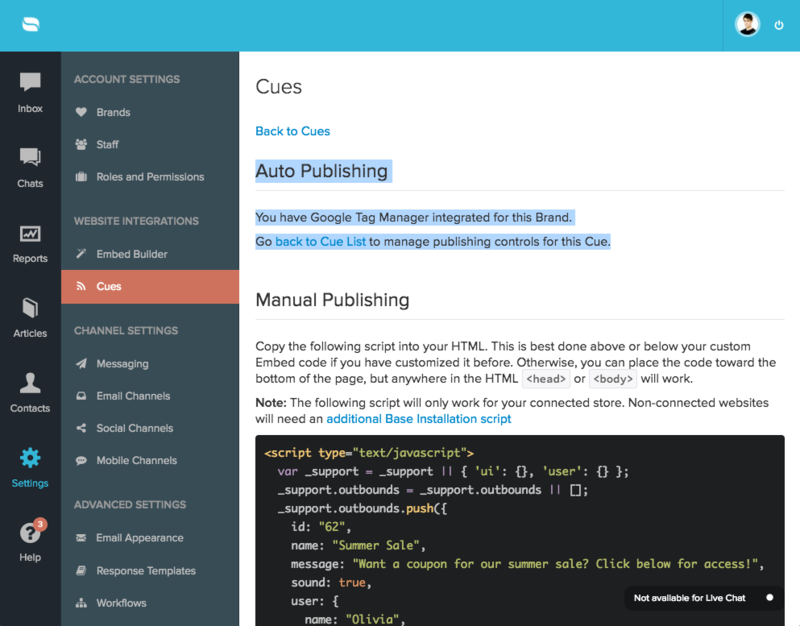 Click on the on-screen instructions to go back to the Cues list for publishing controls. New Cues will not be published until explicitly instructed. New Cues will be indicated by "Never Published". 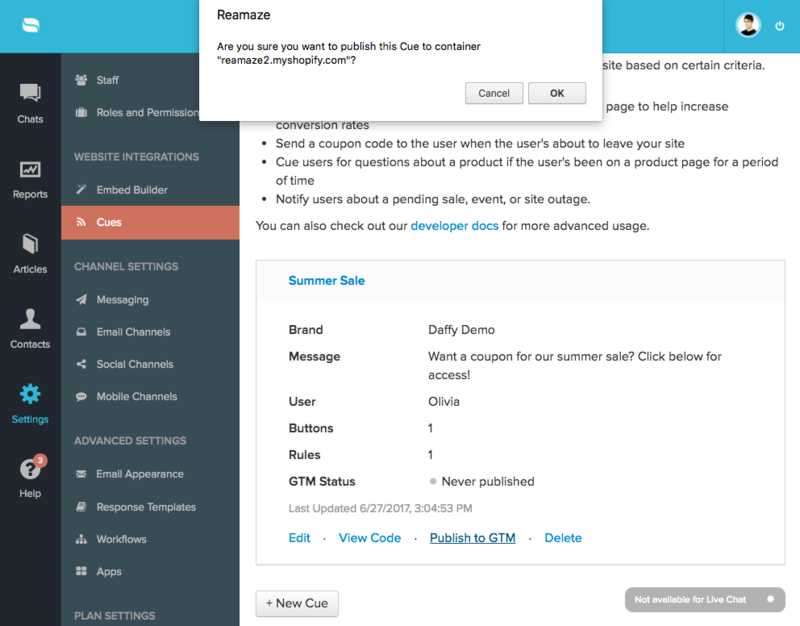 When you're ready to push the Cue to your GTM container, click on the "Publish" command. Click "Ok" to confirm. Once the Cue is published, confirm by looking for the "Published" indicator. 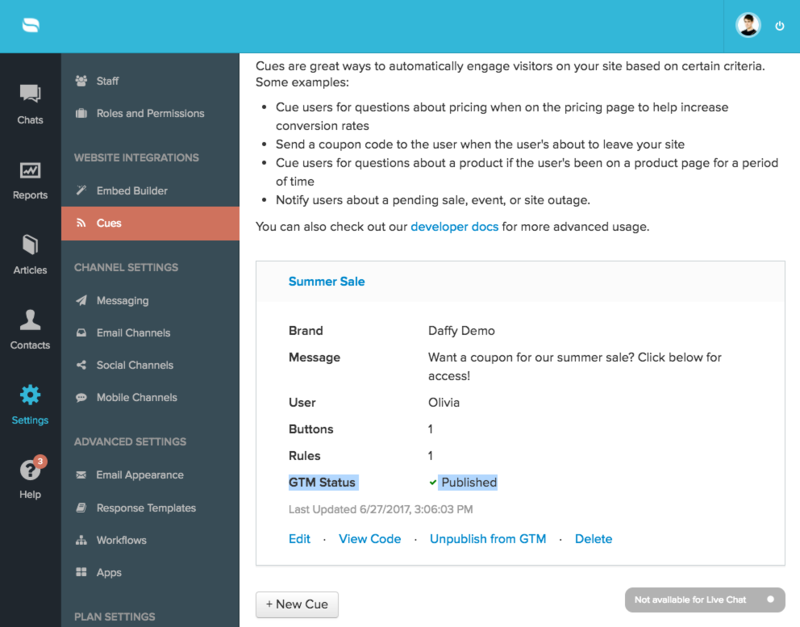 If you make changes to existing Cues, you'll need to republish the Cue to GTM in order for the changes to take effect. Cues with modifications will be indicated as such. 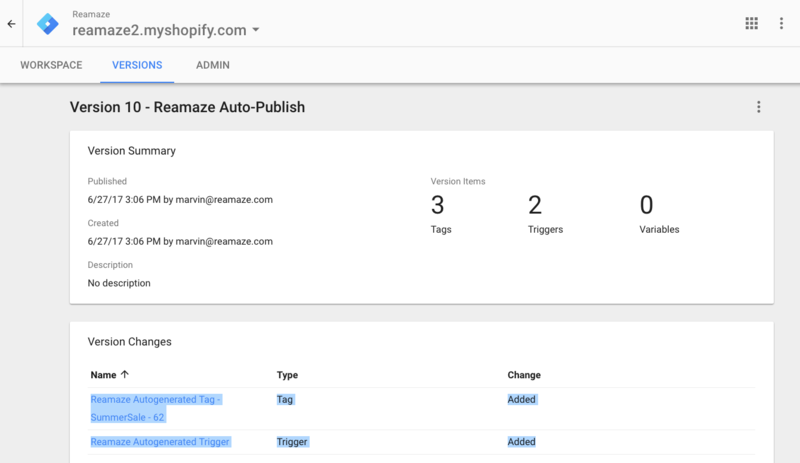 With Reamaze <> GTM integration's auto-publishing mechanism, you'll no longer need to submit your GTM workspace. All Cues published to the container will go live immediately. For manual GTM installations, you will need to submit each workspace change in order for the changes to take effect. 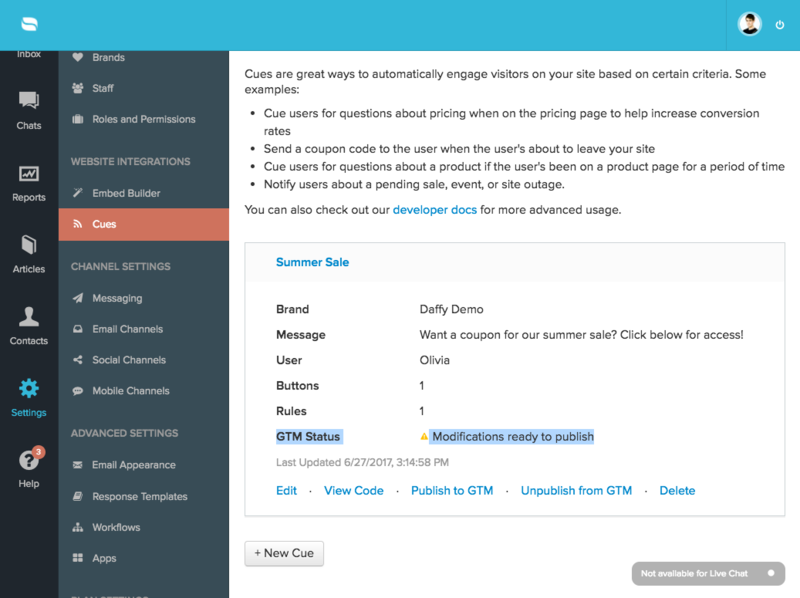 We recommend using the official GTM integration with auto-publishing capabilities whenever possible. After a Cue has been auto-published, you can review the version changes as well the tags created for the Cues in your GTM account. Finally, after your published Cues are live, confirm the deployment by visiting your website.